You may have seen people warning you on your Facebook feed that there’s a secret list of people following your posts and that supposedly, they not your friends, but complete strangers. The posts then direct you to search “Following Me” in your Facebook "block" tab and there will be a list of names you don’t recognize. 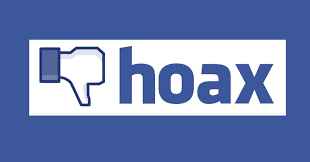 This isn’t the first time a following hoax has sank its fangs into people on social media. A similar claim was investigated in January that people from “Facebook security” were paid to watch people on the platform. How do I deactivate Facebook Account in 2017?